Often referred to as the Playground of the Emirates, the vibrant Yas Island is a man-made destination island that is home to some of Abu Dhabi’s most exciting family-friendly attractions. Ferrari World, which boasts the world’s fastest roller coaster, the Yas Marina F1 Circuit where the Abu Dhabi Grand Prix takes place, and Yas Waterworld are all on Yas Island. Yas Links, the only Links golf course in the UAE, Yas Mall, the largest mall in Abu Dhabi, and Yas Beach are also here. 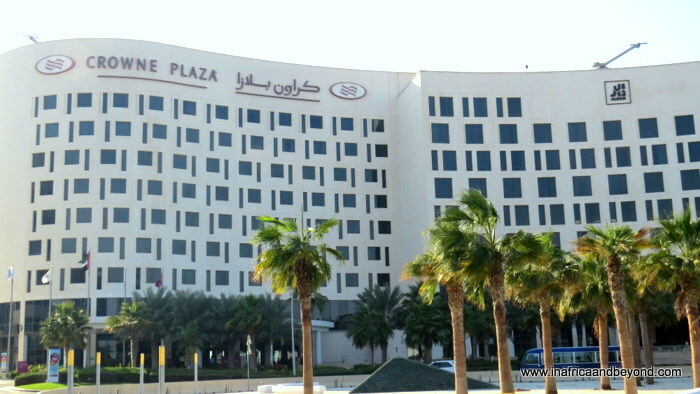 Close to all these exciting attractions and just ten minutes away from Abu Dhabi International Airport, is the luxurious Crowne Plaza Abu Dhabi Yas Island , where we stayed for two nights. Yas Island has a great holiday ambience and as we drove up to the hotel, we already began feeling relaxed. Welcoming staff members greeted us as we entered the elegant lobby. I was immediately struck by the creative gilded seating areas that were reminiscent of Cinderella’s pumpkin coach. In line with local hospitality, Arabic coffee and fresh dates were available in the reception area. Even though we had arrived before the official check-in time of 3pm, our rooms were ready for us and we were given the key cards to both our rooms. From previous stays at Crowne Plaza Hotels, we knew that we could expect comfortable rooms with the Crowne Plaza Sleep Advantage, which includes comfortable bedding and an aromatherapy sleep kit. We were not disappointed. The hotel has 428 rooms. We had a Superior King room and a Superior Twin room. The stylish rooms were decorated in neutral tones and had spacious workstations, minibars, snack drawers and satellite television. 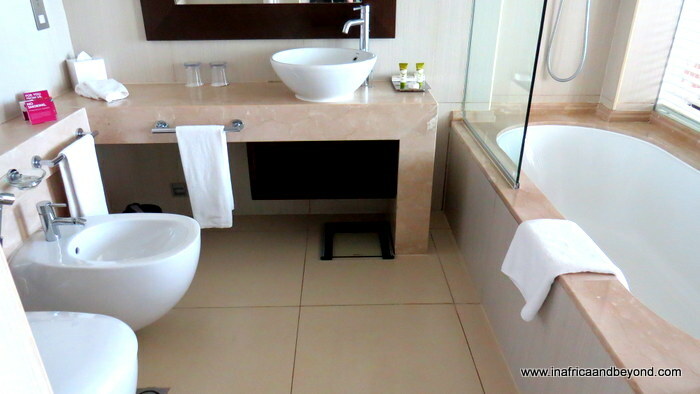 The bathrooms had toilets with bidets, and bathtubs with showers. Comfortable bathrobes and slippers were provided and so was free wi-fi. After settling in, we set off to explore the island with the complimentary Yas Express shuttle service, which runs all day, taking guests to the island’s attractions. We visited the marina, the beach and the mall. The front desk had given us beach vouchers which entitled us to use the towels, daybeds, and beach umbrellas at the picturesque beach. The following day, we went to Ferrari World to ride the world’s fastest roller-coaster. All these attractions were within close proximity and it was great to know that we didn’t have to travel far to return to our home away from home. There are three restaurants, each offering a variety of different cuisines. Light meals are served in the lobby lounge. We enjoyed breakfast at Jing Asia, the hotel’s all-day dining restaurant which consists of live cooking stations with an amazing array of dishes. The breakfast was more like a brunch. Apart from different types of eggs, pastries and meats, there was a gluten-free section, an Arab section, and an Indian section. Friendly waiters would hand out little glasses of power shots created by the chefs – a different blend every day. These were very popular with guests. We were at the hotel during peak season, just before Christmas. It was very busy but the service did not suffer and everybody seemed to be enjoying themselves. The hotel has sprawling grounds with palm-tree lined gardens and a gorgeous 25-metre swimming pool overlooking the sea. There is a spa, a squash court, and a gym with a sauna and steam room too. The Kids’ Club will keep young children entertained. On the bottom level of the hotel is a beauty salon and a barber shop, should you need some grooming or glamourising. We loved our time in Yas Island and felt relaxed there. 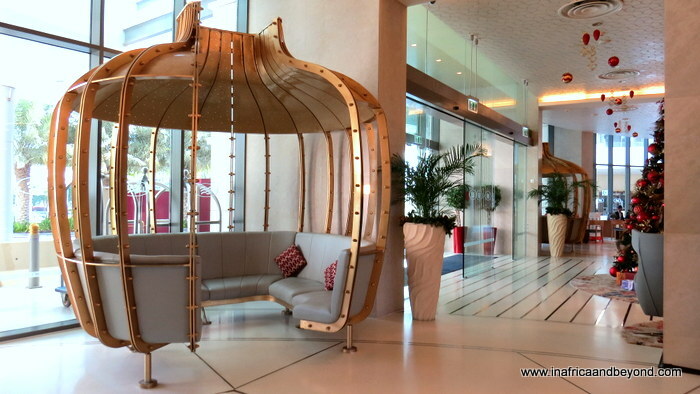 The Crowne Plaza Abu Dhabi Yas Island Hotel is one of the best hotels on the island, and it gave us a comfortable base from which to explore our surroundings. For more information, visit Crowne Plaza Abu Dhabi Yas Island or book here. 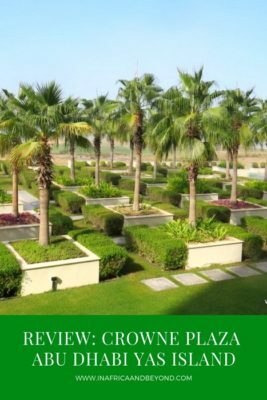 Several time I have utilized the Crowne Plaza, Yas Island, and it is currently my inn of decision when I make my 3-4 visits every year to Abu Dhabi. The place is full of high class impression and ambiance of the place is very bracing. 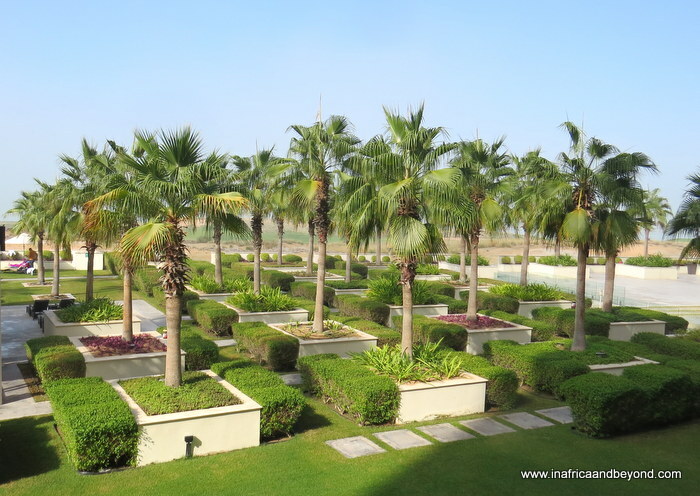 The lodging is likewise in an ideal area to get to all of Yas Island’s offices and vacation destinations. Anticipate my following visit. Thanks Sarah. I can see why it would be your hotel of choice. It’s comfortable, attractive and conveniently located. Thanks Natasha. Do add it to your bucket list along with Ferrari World and the other Abu Dhabi attractions. I like how this place looks so elegant and classy. Really Abu Dhabi has a lot of things to offer. Like what you’ve said, from family friendly theme parks to these amazing luxury hotels. I would love to go there! Thanks Kevin. Abu Dhabi is a great city and you’re not likely to get bored there. Wow! Such a luxurious and beautiful hotel! Everything is so impressive about it – the Cinderella pumpkin coach, the cozy bedroom with those earthly colours, the food variety and the swimming pool overlooking the sea. I’ve been to Yas Island and Ferrari World as a part of our day tour to Abu Dhabi and I must say it’s a beautiful place. Thanks Shaily. 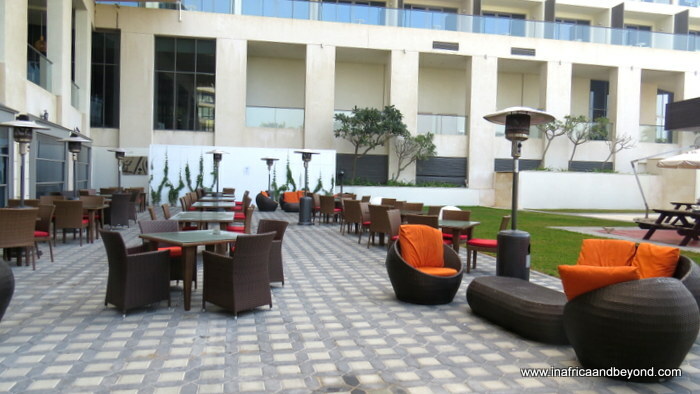 When you visit Abu Dhabi again, you should stay over at this hotel! I’ve yet to visit Abu Dhabi, but this hotel looks like a fine choice. 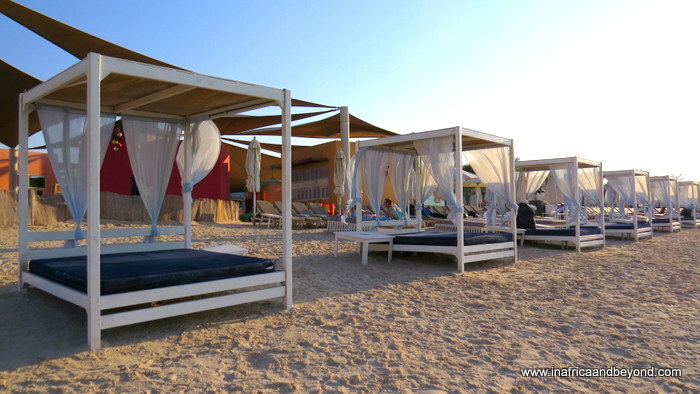 Those beach beds/cabanas look like bliss, and I can see myself on there right now! 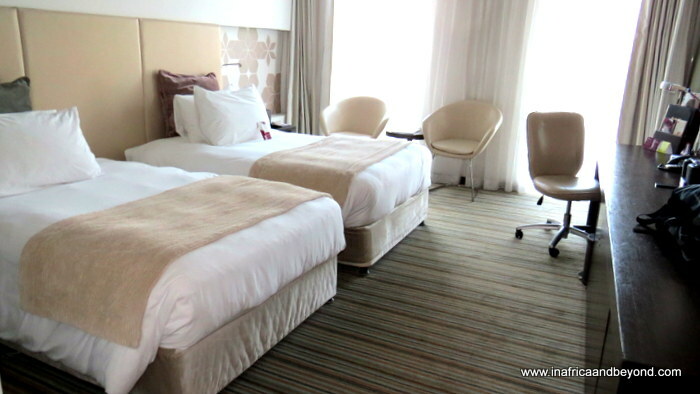 The rooms look comfortable, and I’d expect nothing less than elegance from the Crowne Plaza. I would love to stay here if I am in Dubai. I love a little bit of luxury! The interior is beautifully grand and the rooms are also so luxurious! Seems like quite a luxurious place. The fact that it overlooks a beach is my biggest excuse to consider it. I love those daybeds – and possibly would spend more time there than in the room. Well reviewed. 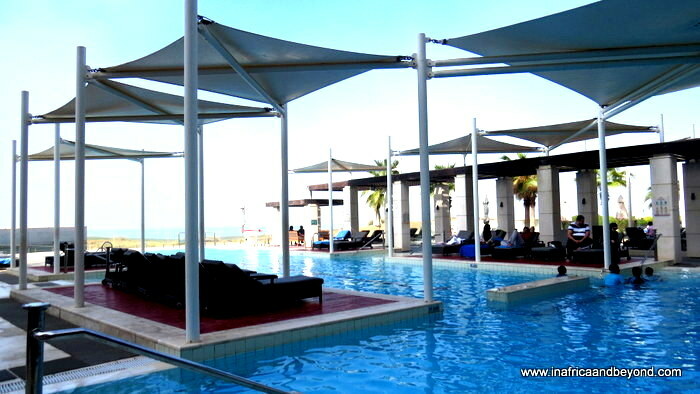 I have been to the Yas Beach but not to Crowne Plaza in Abu Dhabi (I live in Dubai). I have heard that the hotel is pretty awesome and can see why they say that, from your pictures and your post. It would be such a relaxing weekend getaway for me, I will look it up sometime during warmer weather when I can go swimming as well! I have heard a lot about Yas Island and Ferrari World. One of my friends made a visit last year. I love that in UAE most places have complimentary Arabic coffee and dates. I visited Sharjah, Abu Dhabi and Dubai last year. I loved the interiors of Crown Plaza. Subtle and soothing! I am sure you had a great time here. What a beautiful resort! I had no idea Abu Dhabi had a manmade island! I love those Cinderella pumpkin coach seats, and I think I could spend all day happily relaxing on one of the day beds on the beach!